This photo was taken on November 3, 2016 at 4PM. The location was in an art display case in the lobby of a moderately priced hotel in Largo, Maryland. The "Take It!" 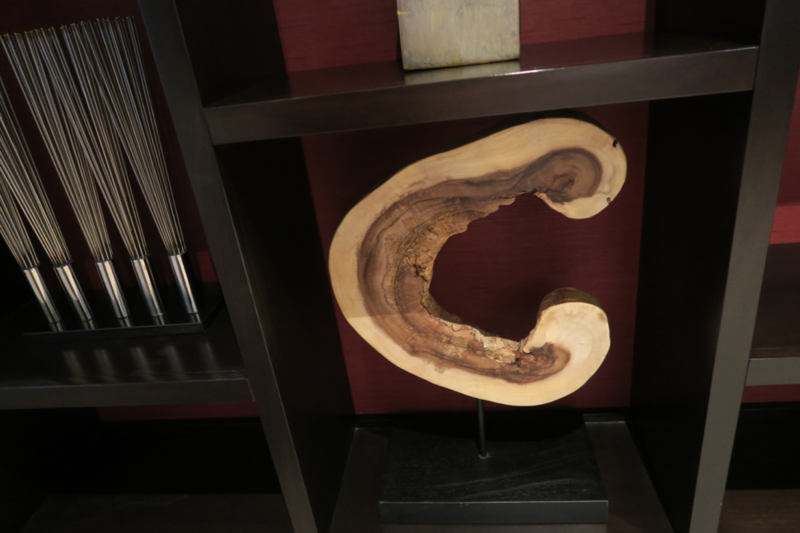 came from having walked by this crescent shaped slice, cut from a tree which shows how the very outside of a tree can be healthy and the rest of it be decayed beyond belief. I had never seen such a slice presented in this way before. It certainly causes one to contemplate the story behind how they obtained it. I had a Silver Maple Tree cut down in my front yard and was contemplating having a chain saw sculptor make the stump into a figure. I had no idea that the entire interior of the tree had been eaten by termites. One could not tell that such interior mayhem had taken place as the bark was intact and leaves were growing on the upper branches on an annual basis. It was sheer luck that the tree did not fall over and possibly hurt someone. The After Take: I am going to have the other Silver Maple tree that resides in the other half of my front yard cut down as a branch fell off in a wind storm and revealed interior termite activity. I am hoping that the interior of the trunk is not as damaged as the other one was, so that the sculpture can be made. I shall keep everyone posted as progress is made and some possible art work emerge from my own front yard. What a beautiful piece of artwork. Even a rotting piece of wood can be turned into something amazing. How very interesting. I have never seen anything like that before. I wonder what kind of wood it is. It's a great looking piece... I'd love to have something like that in my man cave. If your tree isn't as damaged as the first, are you planning on doing something similar?